If you copy/paste your notes from a website, the link to that website will automatically be included in your notes for future reference. This article shows OneNote 2016, but the process works the same in OneNote 2010 & 2013. 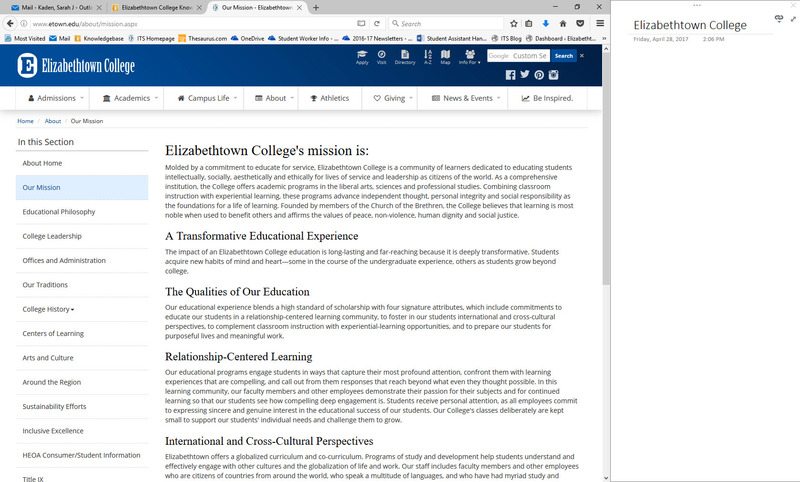 Step 1:Open your notebook in OneNote and the website from which you want to copy notes. You may dock OneNote to your desktop for easier access to the website. 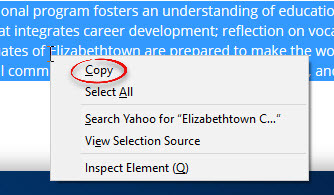 Highlight the text you wish to copy from the website, then right click and select Copy. Click in your notebook where you would like to paste the text. 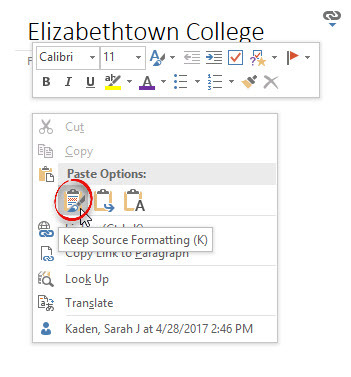 Right click and select Paste: Keep Source Formatting (the leftmost icon under Paste Options). The text will appear in your notebook. 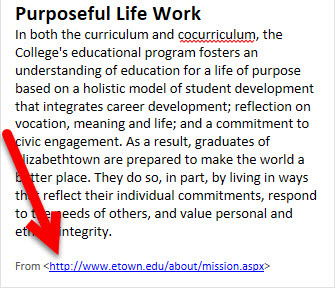 A link to the website source is shown at the bottom of the text. You can click on that link to open the website.